You're ambitious. You're full of purpose. You're a #GirlBoss. 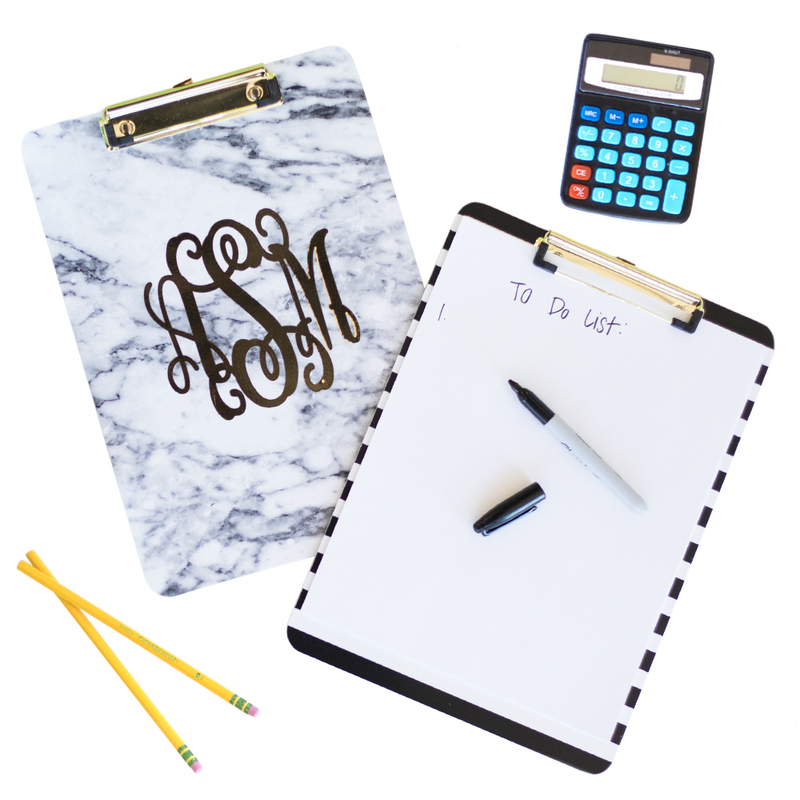 Keep up with all of your important documents with a Monogrammed Clipboard. Nothing says 'ready to tackle this meeting' like well-organized documents and lists. 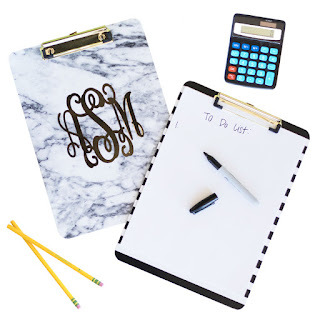 Best thing about it, this clipboard is perfect for everyday storage and on-the-go tasks. But first, coffee! 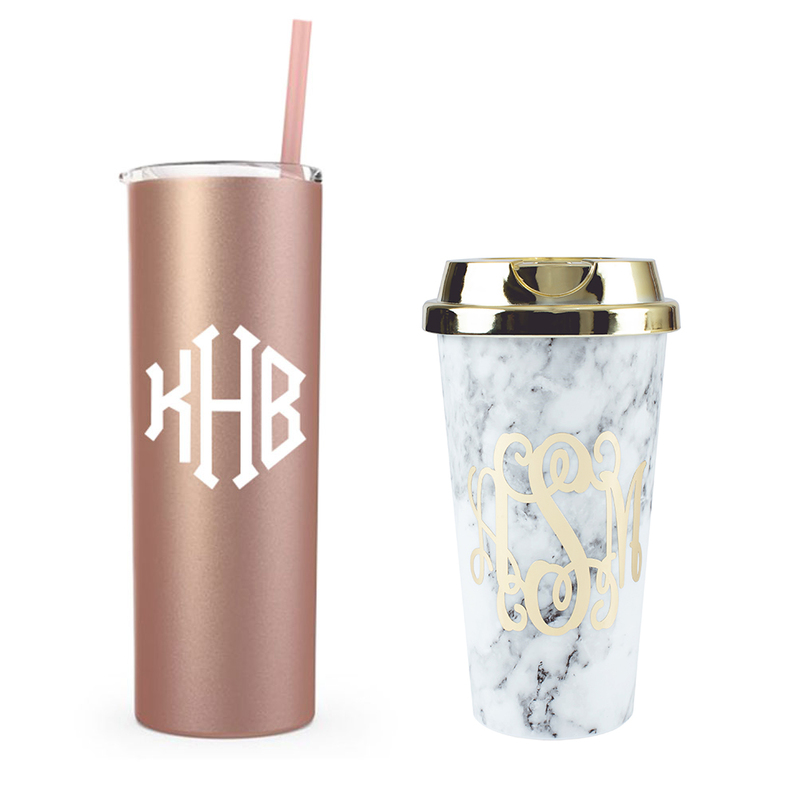 Monogrammed Drinkware will help keep your morning (and afternoon) coffees handy. Whether you're wanting to keep it warm at your desk or have ready for on-the-go traveling, we have options to suit your needs. 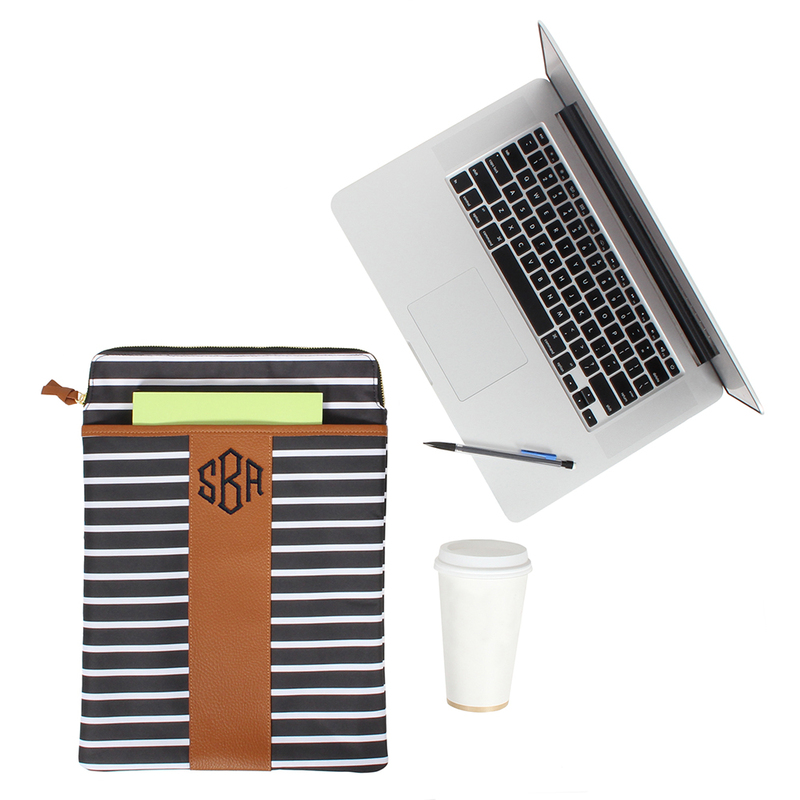 Our Monogrammed Binder Pencil Pouch is an easy and convenient way to keep track of all of your pens and pencils. 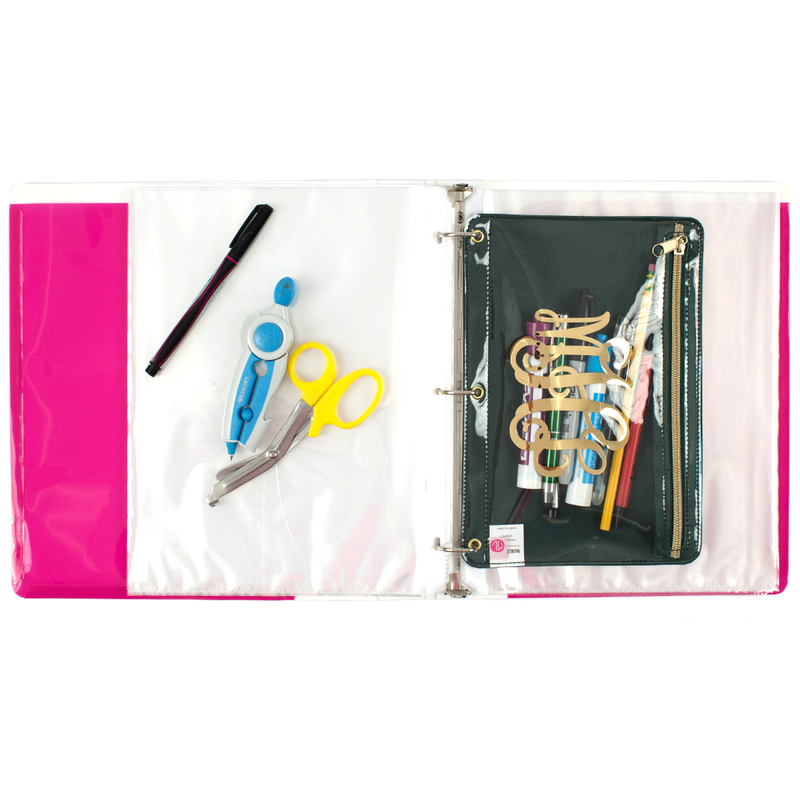 It fits in any standard binder and will become an everyday favorite for storing your favorite office supplies. 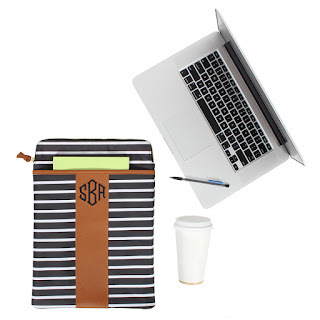 Dress up your laptop with a classic Monogrammed Laptop Sleeve. This sophisticated product is made of genuine leather and can hold up to a 15" laptop. Bonus feature: this laptop sleeve has a pocket on the front that is perfect for storing notes. Be the envy of the office with a Monogrammed Mouse Pad. 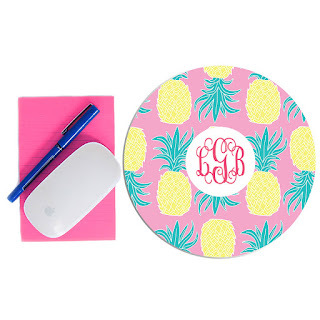 Give your desk a makeover with one of our 20 customizable designs. With so many options, there is sure to be one to match your office style. 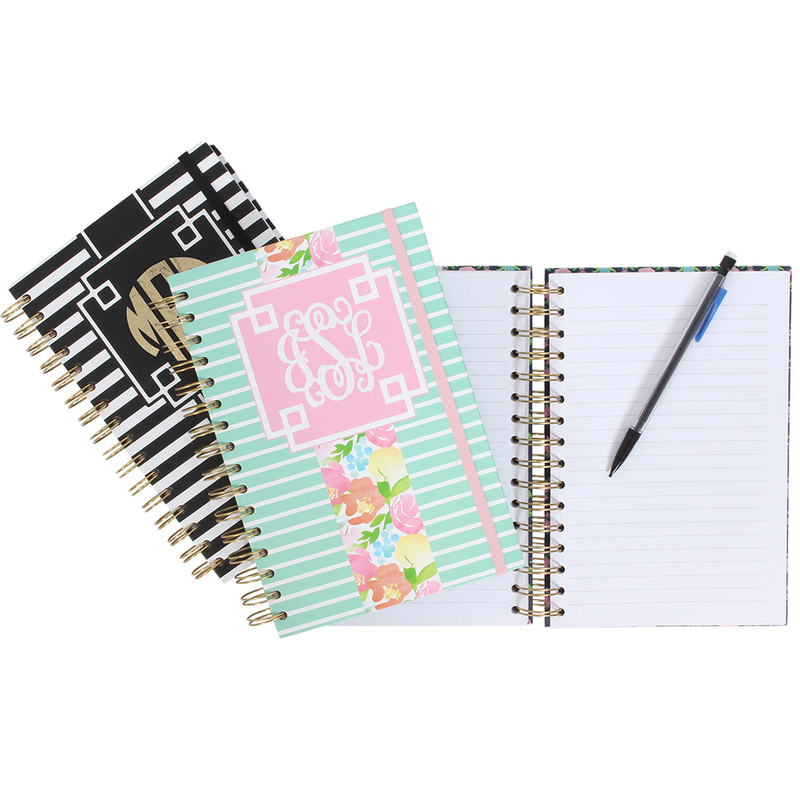 Keep up with your to-do's, take meeting minutes, and more with a Monogrammed Notebook. This notebook measure 6.25" x 8.5", making it perfect for grabbing in a hurry for a last minute meeting. So there you have it! 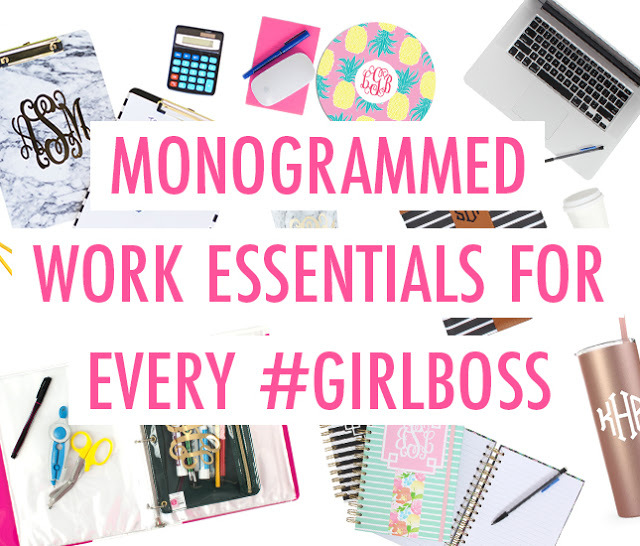 Everything a #GirlBoss needs! Which one of these monogrammed favorites is your go-to? Let us know in the comments!